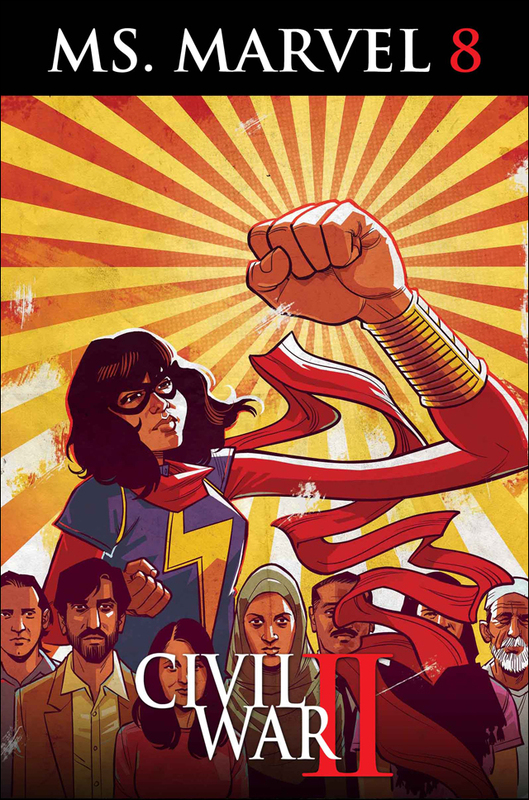 Teaser image for Marvel Comics' crossover event shows Kamala Khan taking a stand against her namesake. Daaaaamn. 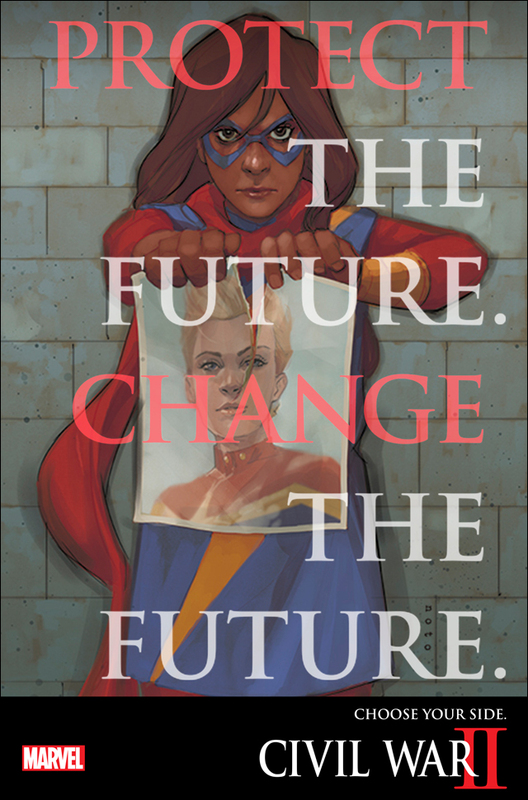 This awesome teaser image by artist Phil Noto for Marvel Comics' upcoming crossover event Civil War II features Kamala Khan, aka Ms. Marvel, tearing up a picture of her idol Captain Marvel. When the superheroes of the Marvel Universe are forced to take sides in this summer's impending conflict, I think it's safe to assume that Kamala will not fall on the side of her namesake. Civil War II is the sequel to Marvel's 2006 crossover event Civil War, (which is the basis of the upcoming Captain American hitting theaters in May). The original storyline pitted Iron Man against Captain America, and divided the superhero community over the Superhero Registration Act, a government mandate forcing superheroes to reveal their secret identities and act under official regulation. In Civil War II, the conflict will pit Iron Man against Captain Marvel, leading opposing factions over the use of a new power that predicts crime before it happens. The heroes of the Marvel Universe are faced with a choice: wield the power of "predictive justice" to change the future as they see fit, or reject it and allow tomorrow to unfold unaltered. Judging from this image, it seems that Ms. Marvel has chosen her side. 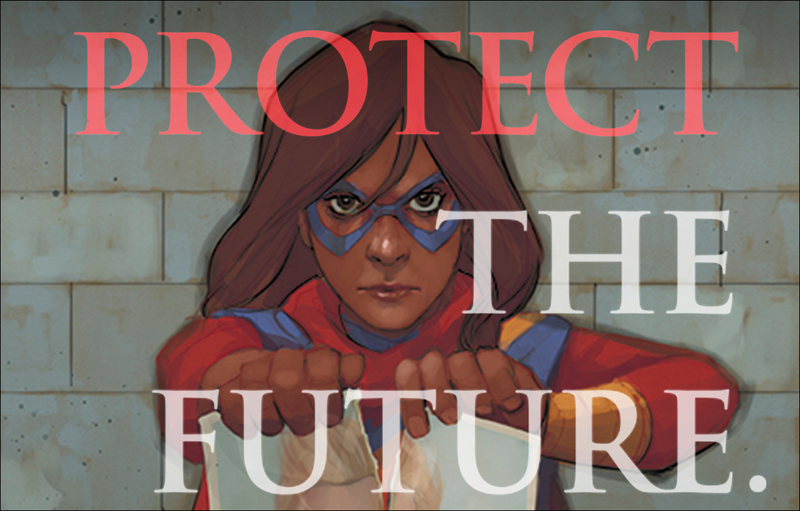 Kamala Khan is the latest superhero to hold the title of Ms. Marvel. She is a Pakistani American teenager from New Jersey with the power to shapeshift. Created by editors Sana Amanat and Stephen Wacker, writer G. Willow Wilson and artist Adrian Alphona, she is Marvel's first Muslim character to headline her own comic book.